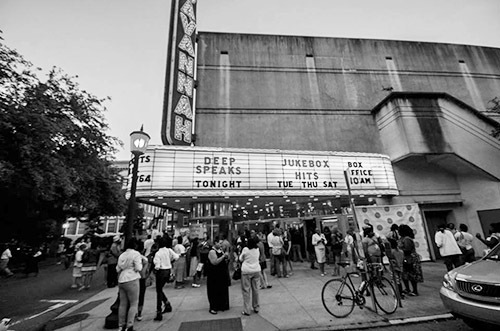 A group of Savannah’s public middle school students will take to the stage of the Historic Savannah Theatre at 6:30 p.m. on Monday, Feb. 13, 2017 for the Deep Speaks book launch and literary reading series. Doors open at 6 p.m.
Twice a year, Deep Center publishes books featuring the original, vivid, and fearless stories, poems, and plays of the young writers in our Young Author Project, which works with public middle school students. Each young author votes for their favorite piece from the workshop, and three winners from each site read their work in front of a live audience of 500 people from all over Chatham County. You’ll be thrilled, moved and impressed by the artistic merit and maturity of these literary works. Seating is first-come, first-served. This event is free and open to the public. Note: Deep authors are fearless and can write challenging content. Parental guidence suggested. For more information about Deep Speaks, see the Facebook event page, and for more information about the Deep Center, go to deepkids.com or call the Deep Center, located on the second floor of the Public Library on Bull Street, at (912) 289-7426.